The Dunes Arts Foundation in Michigan City recently elected four new members to its board of directors. New board members include Clarence Hulse, executive director of the Economic Development Corp., Michigan City; Kathleen Dolio-Thorson, founder and president of KDT Designs; Elise Kermani, artistic director of MiShinnah Productions; and Dale Maher, realtor with Line Mullins Realty. The new members join current board members Amy Black, president; Esteban Vargas, vice presidentt/treasurer; Jeffrey Baumgartner, secretary/producing artistic director; and Samantha Purze, educational coordinator. 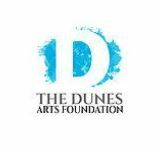 The Dunes Arts Foundation is a non-profit arts organization, founded in 1951, which operates the Dunes Summer Theatre in Michigan City.